Gorgeous winter fashion fascinator hat. 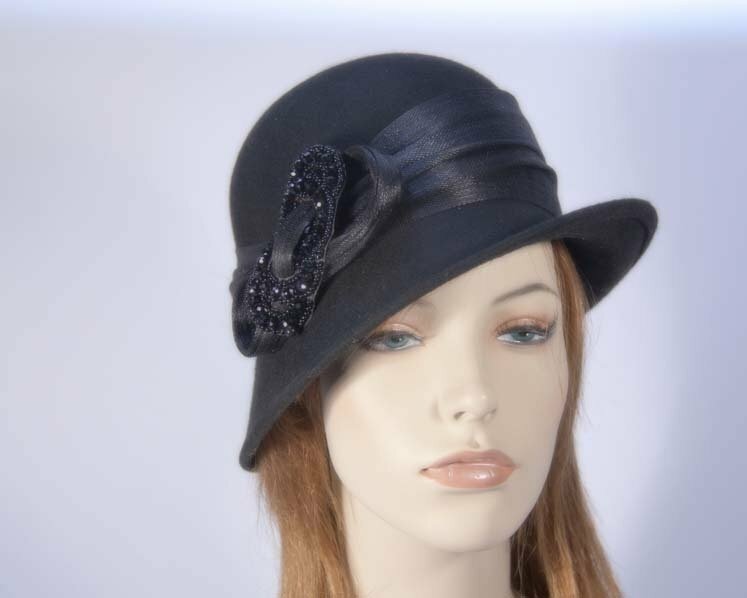 This beautiful black cloche hat from Fillies Winter collection is made from pure wool felt. It features elegant bucket shape with hand made trim and large bling. This hat is made per order, please llow couple of days for creation of yours. Buy ladies fashion hats on-line in Australia and SAVE!